Located downstairs below the sensation Roka lies the understated, yet not to be under-rated Shochu Lounge. 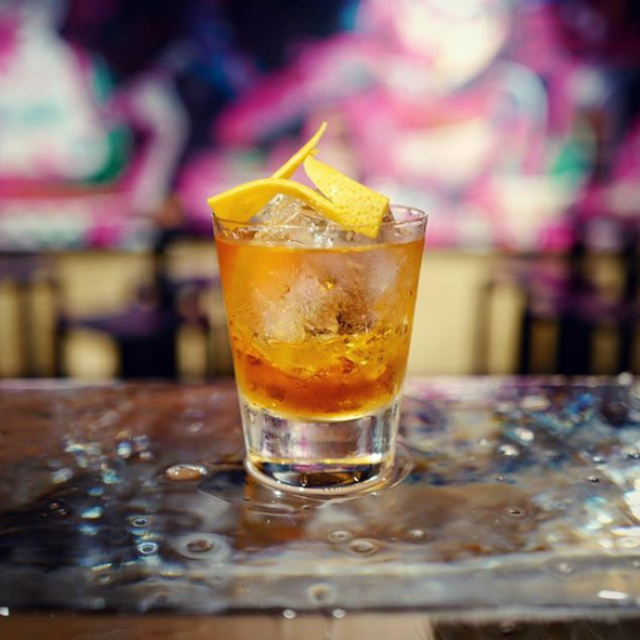 For an experience you won’t forget, which includes ice hand-chiselled from big blocks, to every type of Japanese spirit you’ve never heard of, a Fitzrovia-must is Shochu. A new addition to their popular restaurant of the same name, Meraki Bar has something for everyone with a secret bar beneath complete with live DJs and giant private booths. From the brains behind Zuma, Roka and Coya – Meraki is a late-night delight in Fitzrovia. A fusion of London glamour and the relaxed atmosphere of Greek islands, drinks and food are modern with timeless flavours. Step into this wonderfully cosy cocktail bar with a quirky design, offering an insight into the life of the former inhabitant (let’s just say, it rhymes with waffle) – perfect for a memorable first date or drinks with colleagues – this is one of Fitzrovia’s hidden gems. Follow the bright red-light slap bang in the middle of Goodge St. & you’ll find yourself in your new favourite port-of-call & hedonistic haven! Be greeted with party vibes & high-fives as soon as you enter through their red ‘Downing Street’ door. Fitzrovia has everything you need to pull out all the stops this Mother’s Day. Leave the hard work to someone else and try the incredible selection of brunches on the weekends in Fitzrovia.